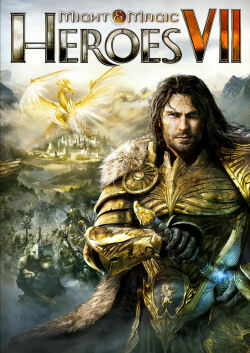 Might & Magic® Heroes® VII makes a triumphant return bringing you the essence of turn based strategy gaming. Set in a high fantasy universe with RPG progression and strong story narrative, you will embark in a journey you will never forget! - Build up Heroes of Might & Magic with hundreds of uncanny abilities and powerful artifacts. The story of Heroes VII depicts the civil war that changed the ruling dynasty of the Holy Empire. The Empress’ murder has left an empty throne, a realm in flames and too many hungry rivals intent on claiming it. The Duke Ivan calls together a prestigious council of six trusted advisors in search of a viable path for putting an end to this war of succession. For 20 years the Might & Magic Heroes titles have set a new standard for computer strategy games. Today, Heroes VII promises to be the best of the series, respecting its tradition and introducing innovative features. By joining The Shadow Council website fans will be able to share their passion and enrich the game formula with their own contributions. Enjoy one of the most acclaimed turn based strategy franchises. Rediscover the authenticity of the classic Might & Magic Heroes, enhanced with modern graphics and game mechanics. Take control of 6 unique factions, each with their own iconic creatures, charismatic heroes, and colorful environments. Draw upon their distinct strategic experiences to fight your way up to the throne! Powered by the Unreal 3.0 engine, the world of Heroes VII has never been so detailed and immersive. Changing weather conditions and dynamic lighting effects will make the magic come alive. It ain’t over ‘til you say it’s over! Over 60 hours of game content in the massive solo campaign with virtually unlimited replayability in the Skirmish and Duel modes. The celebrated Hotseat local multiplayer is there, and the competitive LAN battles make their comeback.